Flexible Perth Bin Hire | What's the most size of skip? 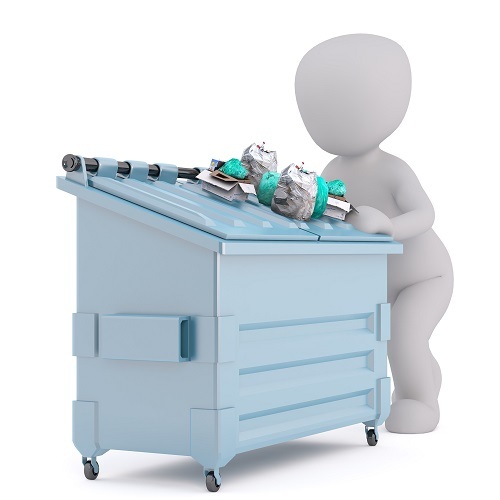 If you’re looking at a combination of household rubbish and green waste, it’s probably a good idea to call for Perth bin hire. Call us, and then detail just what you expect to be thrown out. There are rules and regulations about how to dispose of types of wastes, and this applies to the skips too. For example, mixed heavy and building waste bins exist. They largely do not have a weight limit and are quite flexible in terms of content. They’re good for domestic and commercial jobs, and can even handle heavier materials. We’re talking reinforced concrete, brick, gravel, tile, and stone. Sometimes, the bins are also suitable for timber, tree trunks, demolition debris, renovation materials, and plastics. However, you can’t put anything toxic in them like asbestos sheets. When disposing of mixed heavy waste, here’s a better idea of just what can go in the bin. Anything that comes from domestic or commercial demolition, construction, renovation, or refurbishment is fair game. That includes bricks, any concrete rubble that can fit, tiles, plastics, timber, and more. Household clean-up waste is also permitted. If you’re throwing out furniture and appliances, that’s also possible. We’ve seen everything from lounges to washing machines to kitchen sinks. Plant life is also allowed, within reason. Tree trunks within a certain size (300mm in diameter, 300mm long) are allowed. Roots, plants, fronds, and green waste are also okay. Though we recommend you keep a separate bin for those, for ease of sorting. Metals like steel are also allowed. What you can’t put in is also a consideration. Let’s start with any tree trunks bigger than the parameters we cited. You’re also not allowed to dispose of synthetic grass in this manner. Toxic or hazardous materials like food, wet paint tins, insulation, liquids of any variety, and asbestos are not allowed. We also don’t accept soil, sand, clay, or dirt. The simple fact is that no type of skip bin is going to allow everything to go in it. It’s just not done. However, there is a variety that allows for you to store more types in larger quantities. These are ideal if you’re having a lot of work done, or just have a lot of solid clutter. Of course, you need to be sure you have the space for the bin. It’s big, after all. Pickup will occur on schedule, but it’s recommended that you have the room for it to not disrupt anyone while you’re disposing of unwanted things.